Use the dropdown menu at the top of your dashboard to select the blog you'd like to edit. In the left sidebar menu, click More tools and select Manage blog template. 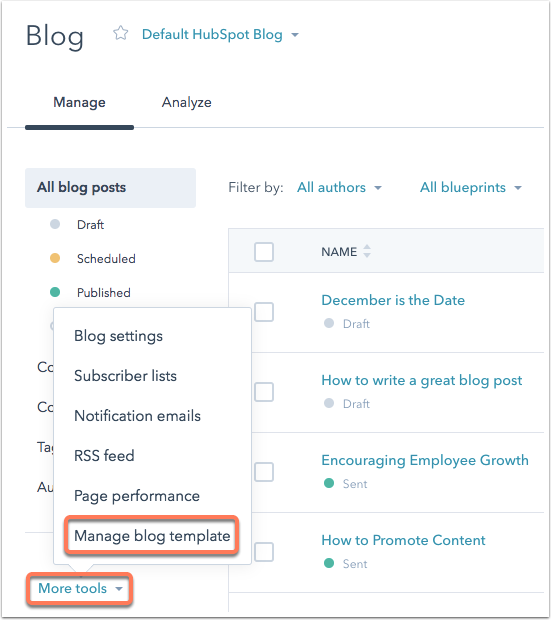 You'll see a module group on the right-hand side of your template, which is composed of modules that make up the content in your blog's sidebar. Click one of the modules to edit it. To edit the content of the module, select More > Edit module in the right sidebar menu. 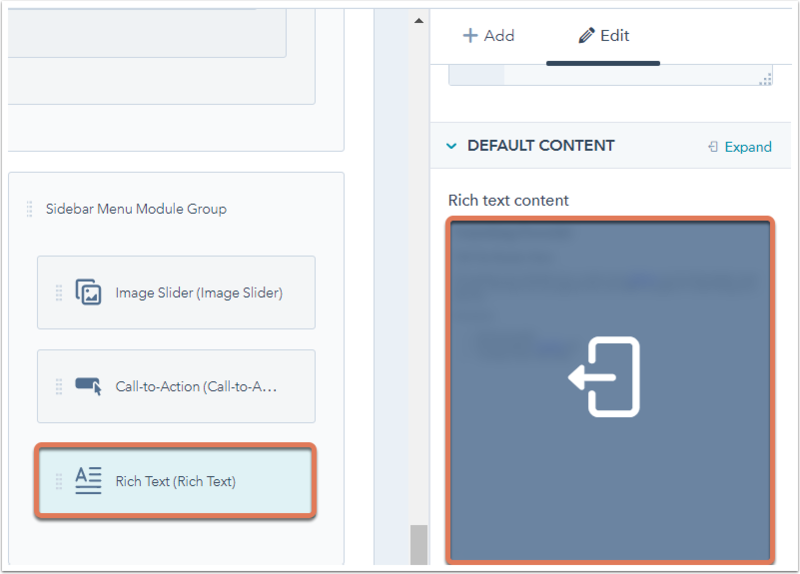 If you're editing a default module (such as a Rich Text module), in the right sidebar menu, scroll down and click the thumbnail in the Default section below Rich text content. You can also drag and drop the modules to re-arrange the order. If you're comfortable working with code, in the sidebar menu under Styling Options, you can enter custom classes, styling, and HTML to make more advanced edits. After making your edits, click Publish changes to take your edits live.